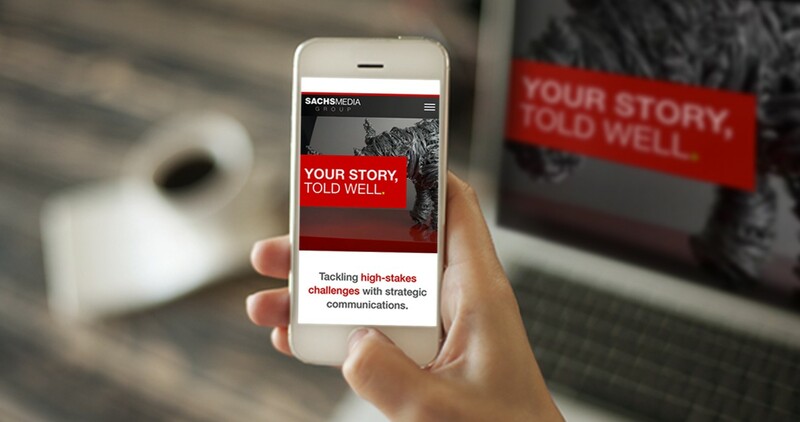 Sachs Media Group, Florida’s foremost full-service strategic communications firm, this week launched a new vehicle in the digital space, unveiling a new website to better tell the 20-year-old firm’s brand story. The site, which details the wide range of services offered by the firm, is mobile-responsive and features an array of dynamic new elements that provide a rich user experience. Sachs Media Group is an award-winning integrated communications firm that specializes in helping clients overcome high-stakes challenges, leverage big opportunities, and achieve breakthroughs with strategic communications. The new site highlights the firm’s primary service areas – crisis, integrated marketing, public affairs, public relations, social and digital marketing, research, and design. It introduces the firm’s talent line up, showcasing the team’s thought leadership in key areas of expertise while also providing a glimpse at the diverse personalities that blend into an extraordinary team of creative professionals. Among Sachs Media Group’s areas of specialty is website design, development, and branding, so it was essential that the firm’s own website was current, on-brand, and effective at telling the firm’s own brand story. As part of unveiling the new site, Sachs Media Group launched a blog post inviting organizations to answer 9 Signs Your Company Needs To Redesign Its Website – to determine whether their own websites are weathering the test of time or are badly in need of updating. Effective storytelling is a Sachs Media Group passion and is an important part of any brand’s success. As the firm’s new site reflects, brand stories are conveyed not only with words, but increasingly with images, video, animations, and interactive elements.